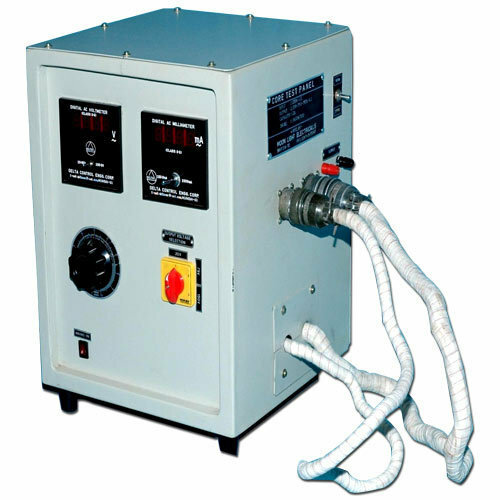 We are one of the prominent names engaged in Manufacturing, Wholesaling, and Exporting of Testing Panel, High Voltage Tester, Electrical Transformers, Burden Box, Test Kit, etc. These are known for their longevity, reliability and high performance. Ours is a well-known organization engaged in Manufacturing, wholesaling, and exporting of Testing Panel, High Voltage Tester, Electrical Transformers, Burden Box, Test Kit, etc. Banking upon our robust Manufacturing facility and pain sticking efforts made by our team, we are able to offer flawless Electrical Products. Utilization of quality proven the raw material and advanced technology makes our range of Electrical Products one of the preferred choices of our esteemed clients.